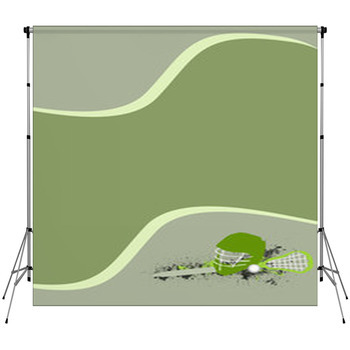 Our lacrosse backdrops let you get out of the mainstream and into the elite. That's because, while lacrosse is rarely on TV, you'll have photo backdrops that show your clients you respect this old and challenging sport. 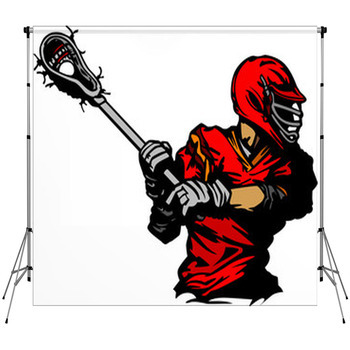 Pose them in front of collages of the different positions in lacrosse, photos of live lacrosse matches, and cartoon symbols of the game. 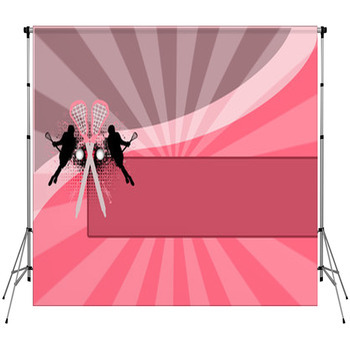 Choose lacrosse backdrops that leave an open white space for you to place your subjects. 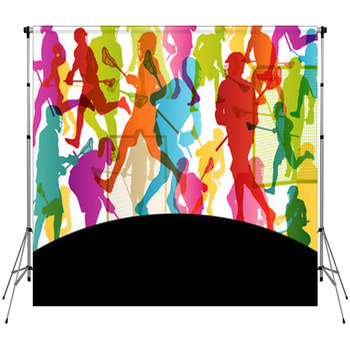 One of these photo backdrops shows a lacrosse player drawn with just a single curvy line for each arm and leg, and a circle for the head. 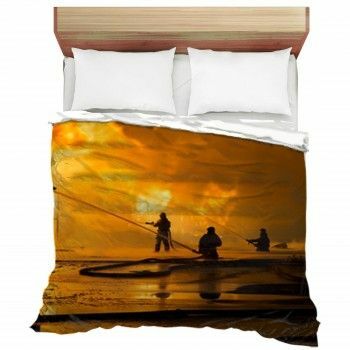 He's swinging his stick and net over the white background. 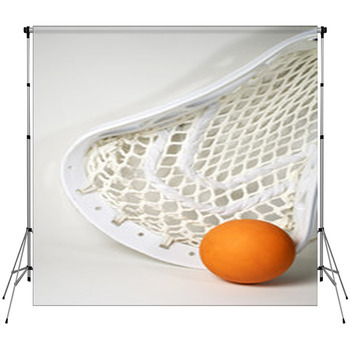 Another portable backdrop features a close up shot of a real lacrosse stick and ball. The bright orange ball is shown lying on the ground beside the black rim, white net and silver body of the stick. 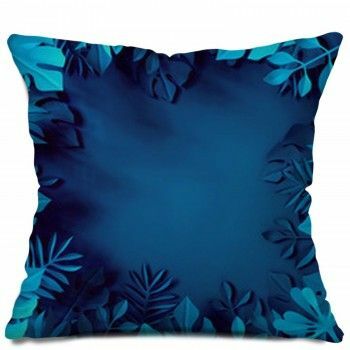 Go for a more crisp feel, and a color scheme that will match any clothes or uniforms your young lacrosse playing subjects are wearing, with an all white photographer backdrop. Here the lacrosse ball and the entire stick are white, with only a hint of shadow making them stand out from the white background. 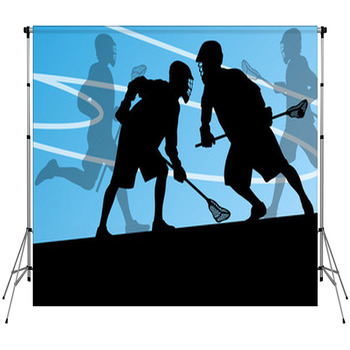 Display the intensity of competition in lacrosse with a custom backdrop that pictures two black silhouetted players charging together to reach the ball first. 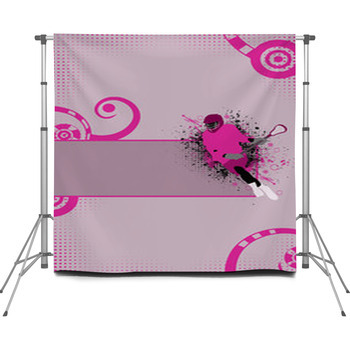 Make sure you also have lacrosse themed backdrops that highlight the popularity of this sport among girls. 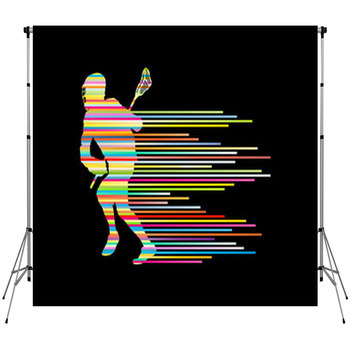 One of these shows a series of black silhouettes and green grass, with each figure drawn to reveal her ponytail or wavy hair bouncing as she battles for control of the lacrosse ball. 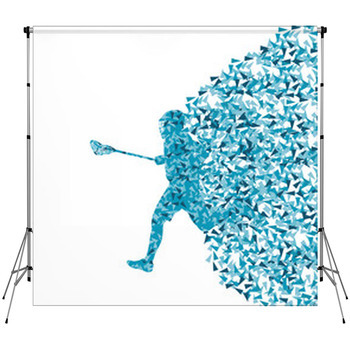 Showcase your new collection of photo backdrop designs in your studio by also ordering our lacrosse wall art and window curtains.